Sometimes steamed fish can taste bland and boring, as this cooking method is quite tricky to incorporate good flavours with a very delicate ingredient. There are also few good recipes for steaming fish and the only ones I can remember on the top of my head is the Asian style steamed fish and the French papillote (well this is a different steaming method) now let’s add something to that mix the Steamed Cream Dory in Light Soy Sauce. Cream Dory works great on this one but any white fleshy fish would be great. Looks so delicious!! I love lightly steamed and flavored fish! I don’t know that I’ve ever eaten steamed fish, and I’ve eaten a lot of fish. This sounds very good though. Tonight I’m making your cucumber salad. Can’t wait! Very tasty Raymund – I make a recipe somewhat similar to this – you have just reminded me I haven’t made it in ages! We have frozen fish fillet – dory here but it has a smell and the texture is jelly like. Most people do not like it. But there’s a local fast food franchise that claims to use New Zealand dory – this one’s very very nice. My girl’s favourite! Yum. I adore beautifully cooked fish with an Asian twist…… and so simple too. Thanks Raymond. Love the light flavors in this dish. 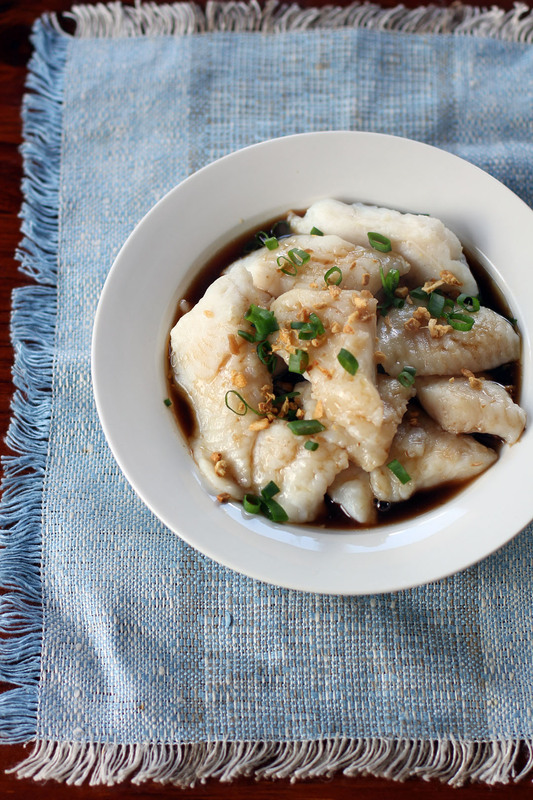 We eat steamed fish a lot at home and usually make it with usual Cantonese method but the addition of a little brown sugar and oyster sauce make is even better. Light yet flavorful when you cook it right! I love Asian steamed fish! Hello po. Just wondering what is the cream dory called locally in NZ? Is it the Hoki Fillet? i tried your recipe, sir Raymund. Ang sarap! will be a follower of you na. I posted this on my tumblr. Will try this later for dinner 🙂 My only dilemma is the wax or baking paper.. can I use the foil as replacement? Lovely recipe and i use it often but sometimes im too busy to steam the fish so i slowly braise it in the sauce and its just as good and saves me lots of time and washing up!! looks delicious. do you have the nutrition facts for this meal?